Mortgage 101: A Resource Guide- Find Everything You Need to Know! This guide will help first-time home buyers and seasoned veterans get the information they need to make the correct financial decision regarding their mortgage. Our goal is to provide information and resources for everything you need to know about the mortgage process. Whether you are shopping for your first home or you are already established in a existing home, this page can be your guide. Take the necessary steps to make purchasing your first home or maintaining your existing home a seamless process. Before doing anything else, you must determine your financial situation. Finding a mortgage rate that works for you will depend on a number of factors: income, monthly expenses, credit rating, and the down payment and interest rate for the home. Stay informed about what you should know as a potential home-buyer. Be sure to shop around! 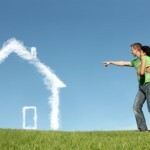 There are many options as to what kind of loan you can apply for and what lenders to consider. Explore all of your options! There are many programs available with incentives and assistance for home buying. All you have to do is look and see if you qualify! Now that you have done all the background research, you can search for a home within your budget. This can definitely be a nerve-racking process, but do your research so you prepare an offer they cannot refuse! This is a step sometimes overlooked, but is absolutely necessary in the home-buying process. Be an informed buyer! Make sure your house is covered! These links will provide pertinent information for choosing an insurance company and how to save money in the long-run. Estimates for closing costs are not always accurate, but HUD protects home-buyers during this process. From time to time, you need to reevaluate your financial situation. With life transitions, your home situation may need to transition as well. Here are many resources available to help you make the best decisions about how to deal with these changes. This can be a tough decision. Read through resources to decide whether this is the best option for you and what situation is most suitable to your needs. Is Mortgage Refinancing Safe or Dangerous? Take action to avoid foreclosure, but if it comes to this, move forward positively with helpful resources. Many life transitions can affect not only you but others in your life. Prepare for and manage these changes with insightful articles. Thinking about a second home? Evaluate your debt and credit first- second home loans are typically much more stringent! Are you nearing retirement? This may be an option to look into. Do you owe more than your home is worth? Look here for information on how to proceed. Having trouble keeping up with your payments? Don’t worry, there are multiple options for assistance!